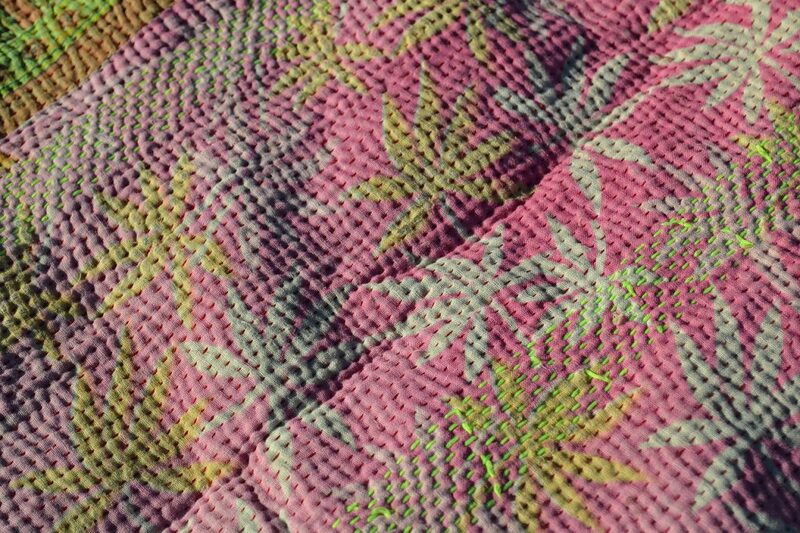 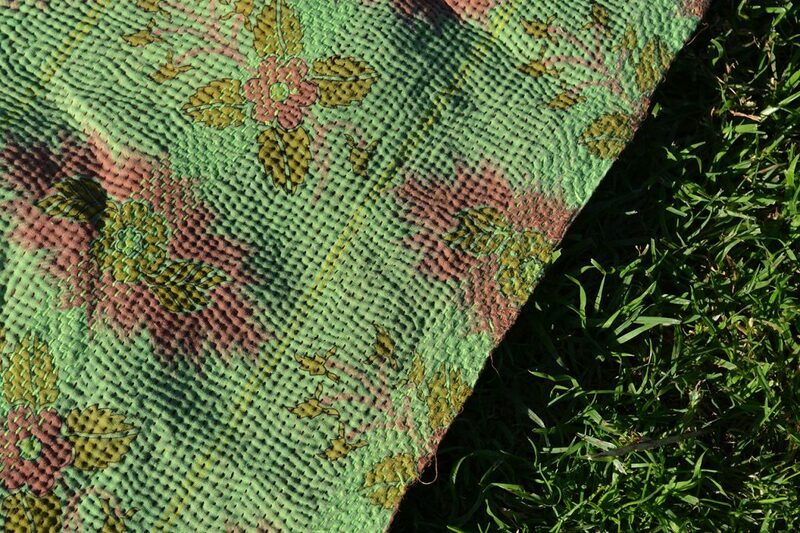 Beautifully soft to the touch, rippled with texture from kantha’s characteristic running stitch, weaved through the layers of vintage cotton saree, this quilt is a dream. 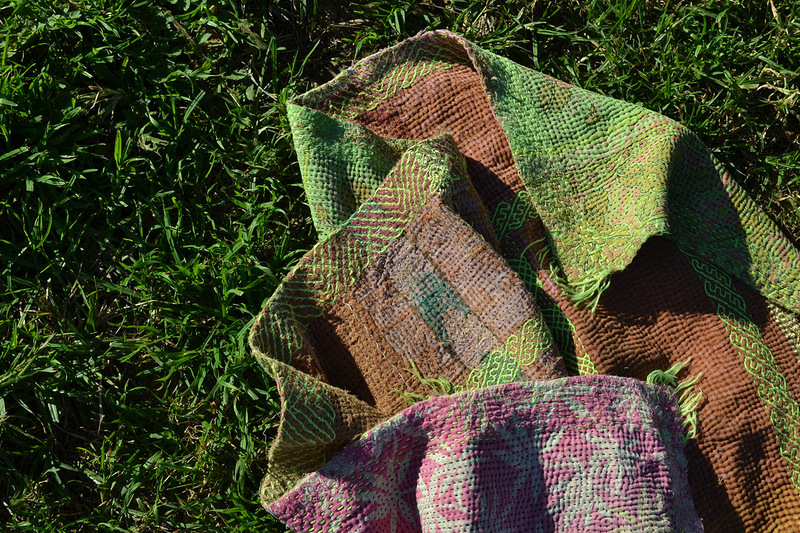 Soft hues of lime, pinks and browns ~ every brown shade, from caramel, to chocolate, to golden brown, to ochre. 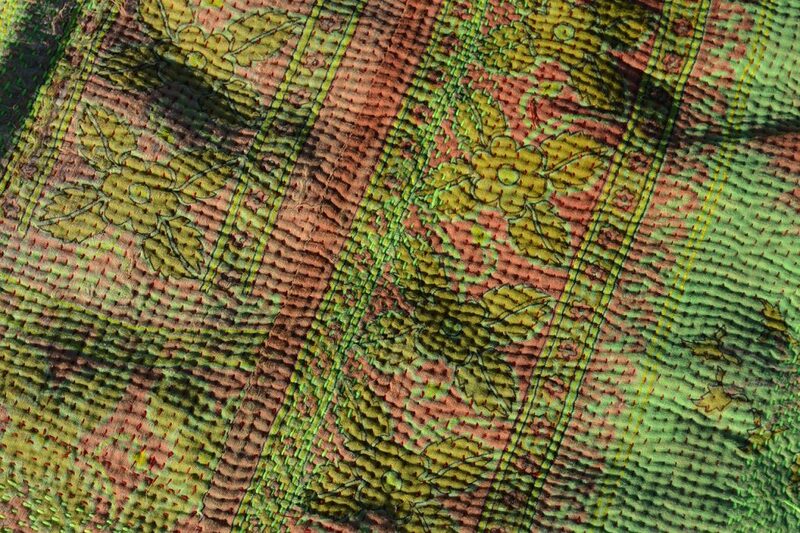 The combination of colour in this hippie Indian tapestry is extraordinary. 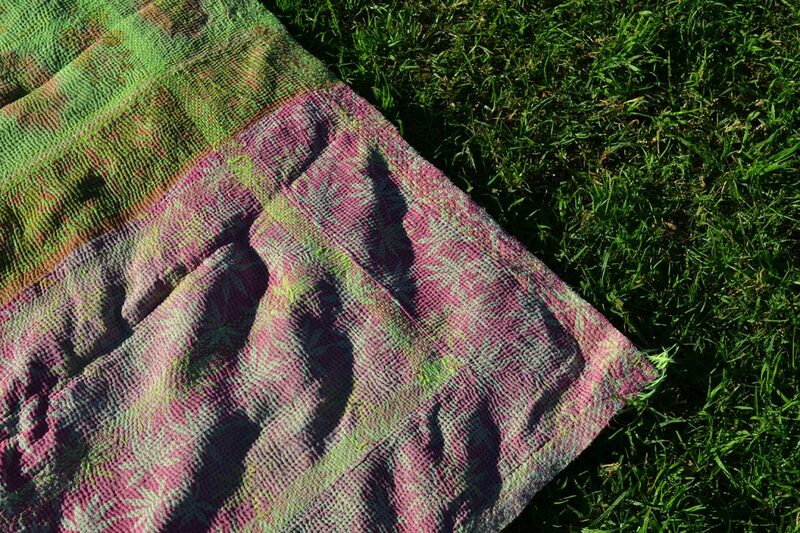 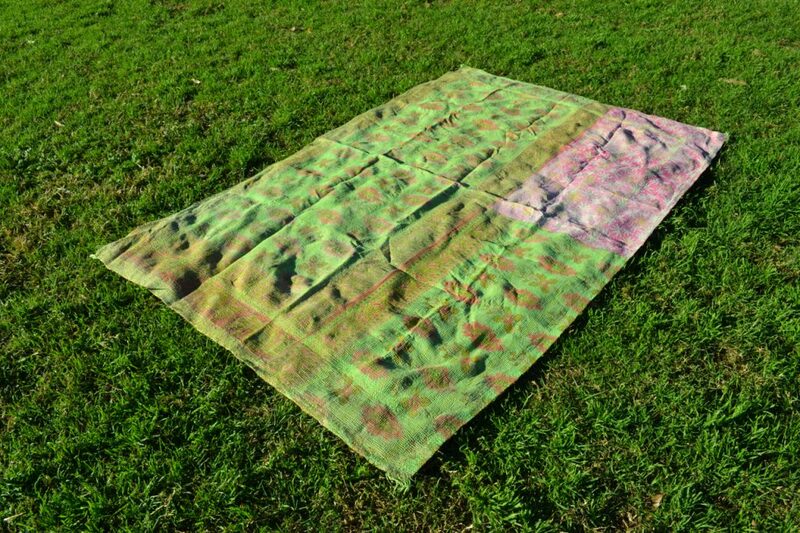 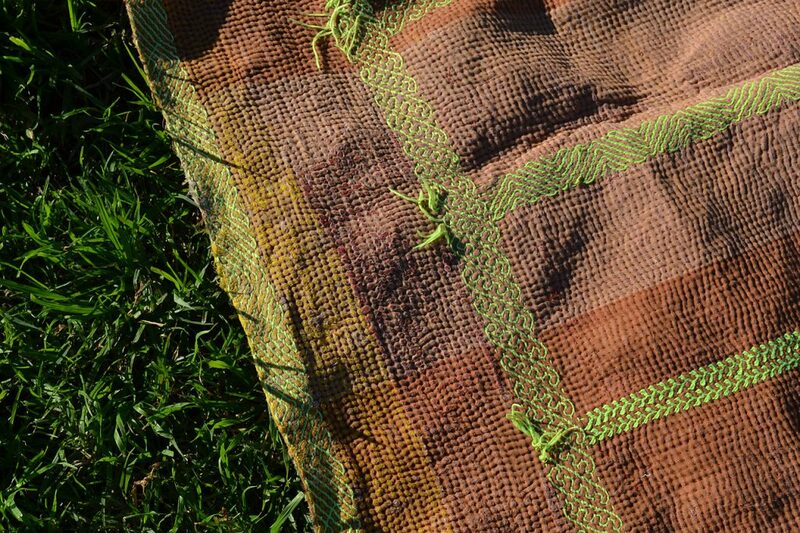 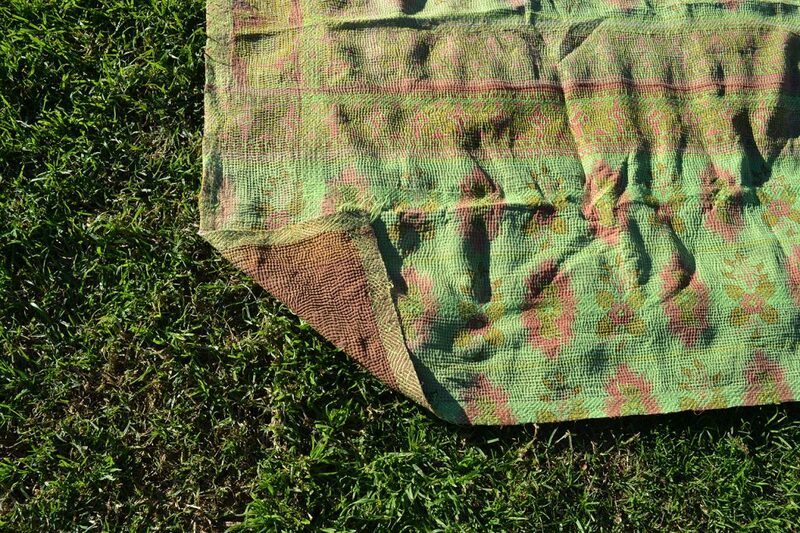 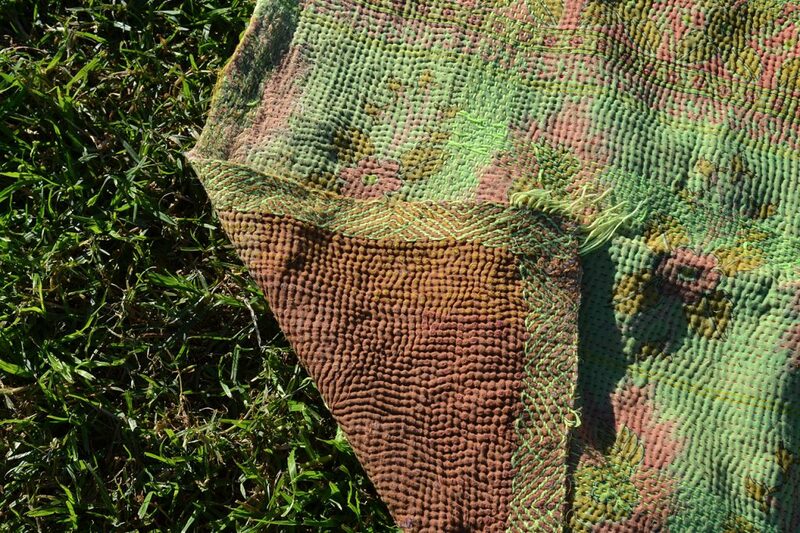 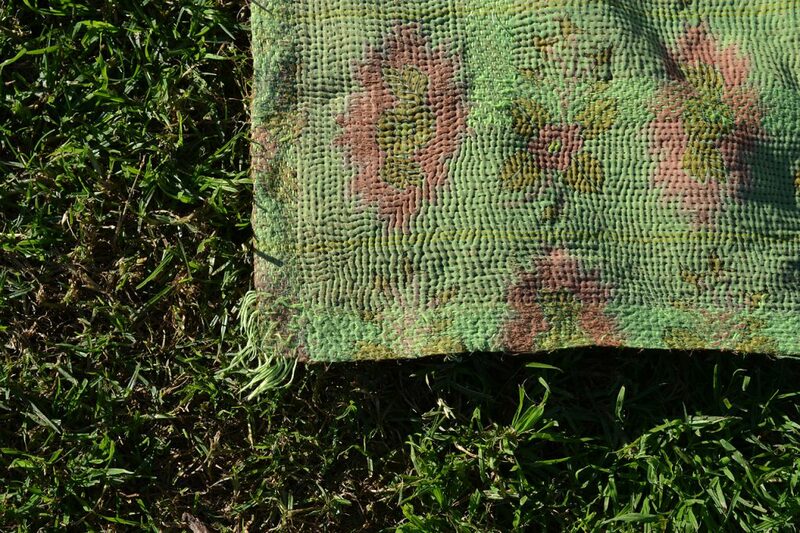 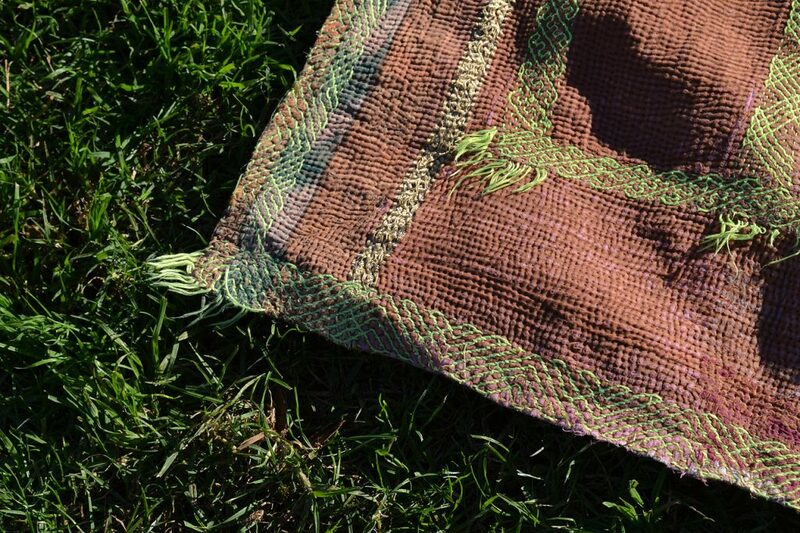 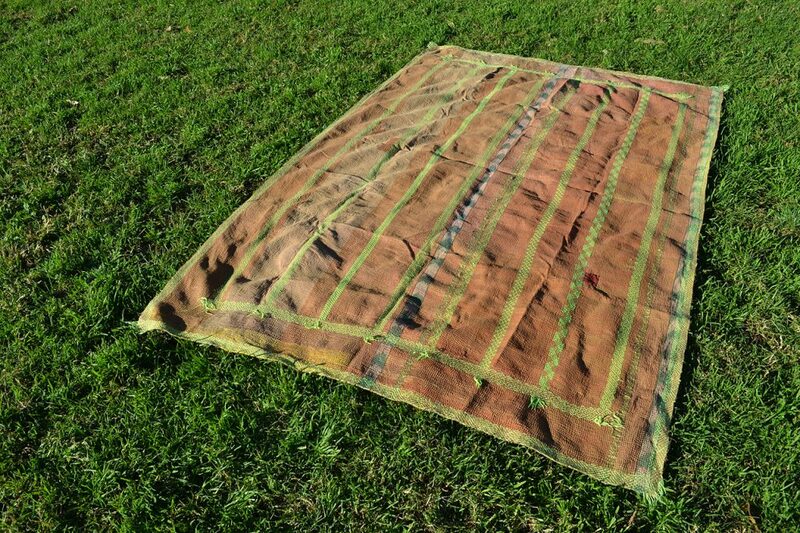 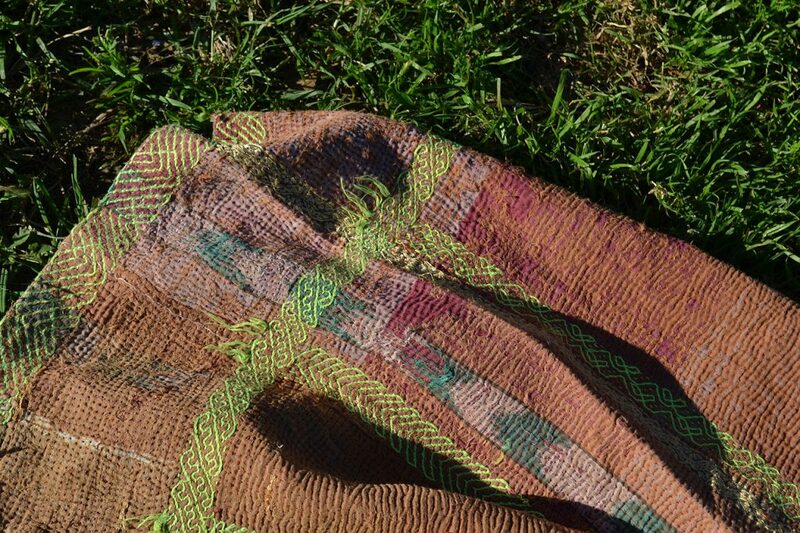 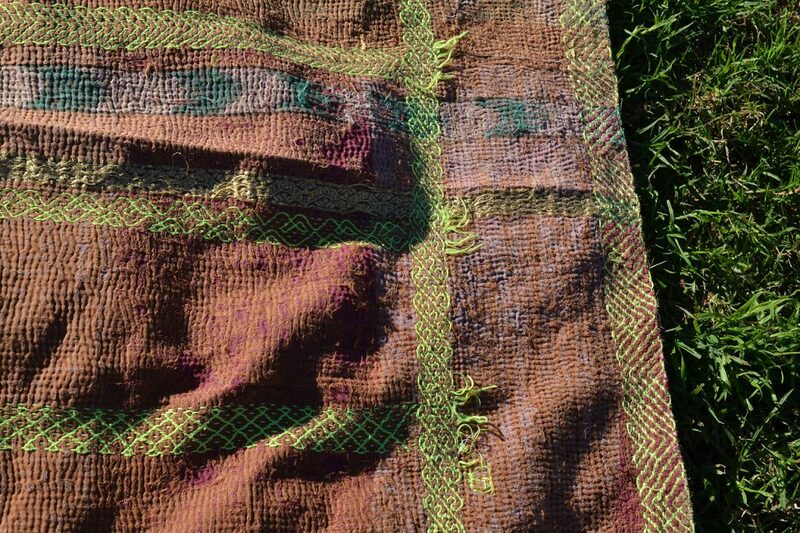 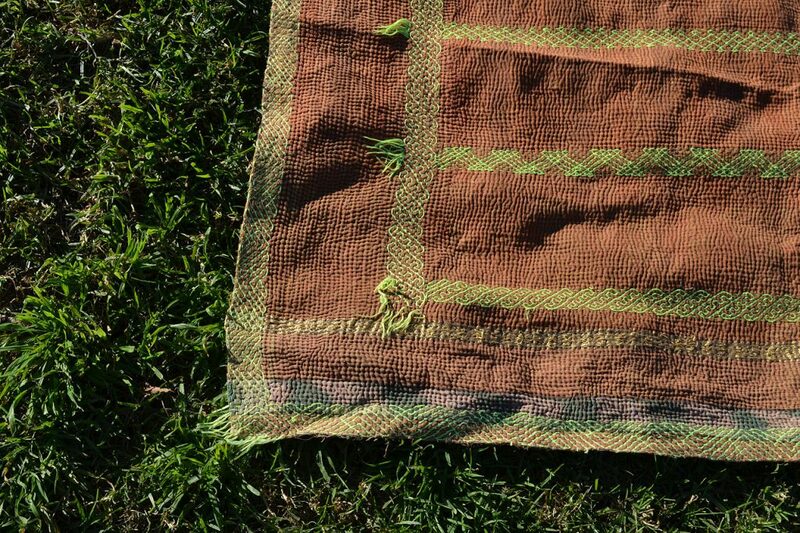 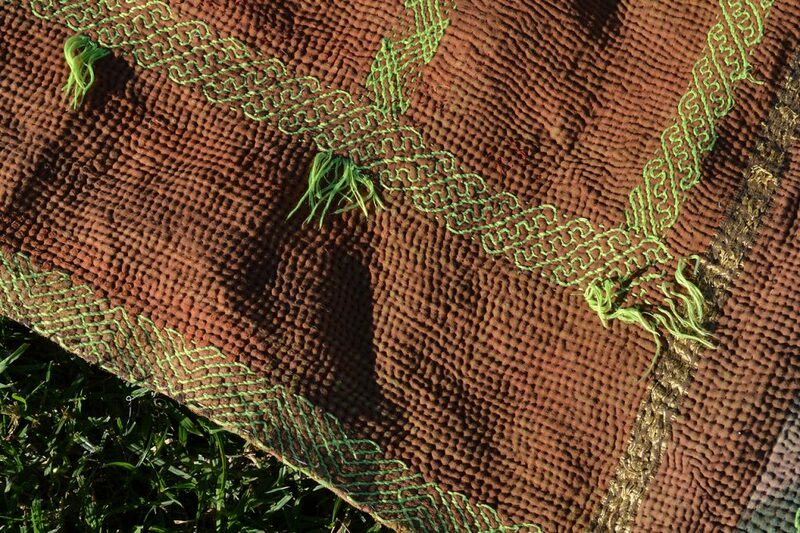 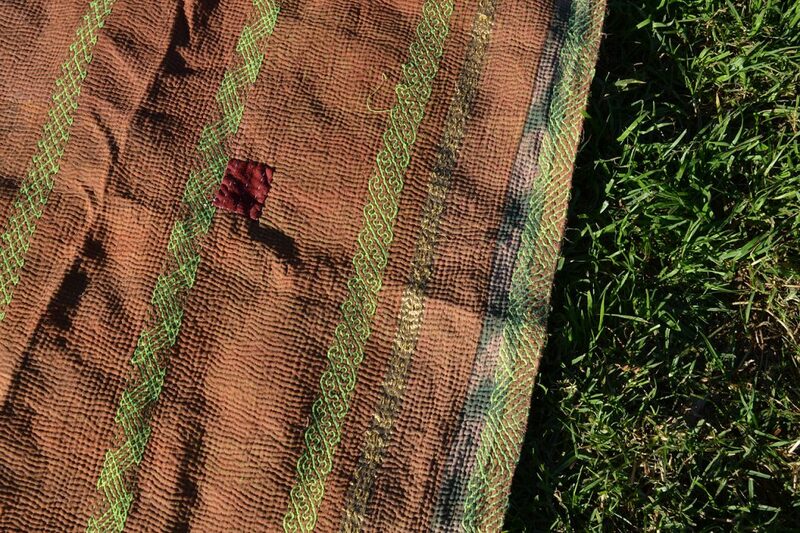 Over 30 years old and hand-stitched, this gem of a kantha will be snatched up quick! 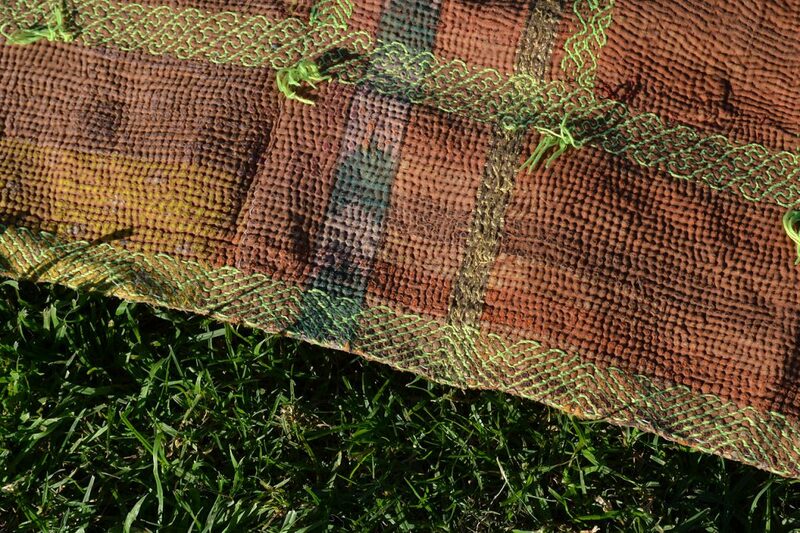 Available at The Kantha Project shop.